Audition applications will be available for all college and university recruiters. There are 30 display tables available – register early! Colleges and Universities are not required, but are encouraged to offer at least one $500 scholarship to auditioning students. $50 per College Representative in Auditions. $25 per additional Booth Representative. All recruiters must sign the Consent & Acceptance Form. Make 2 copies. Keep one to place behind your name in your badge and bring one to Registration. 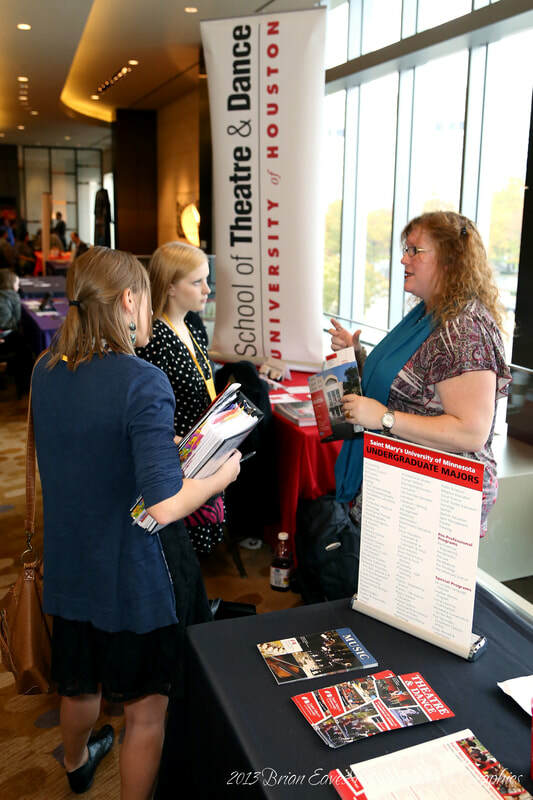 Advertise in the Texas Thespian State Festival Event app Guidebook! Your banner will be seen all three days of Festival. ​ Festival Schedule can be found in Guidebook as of November 11, 2018. College/University Representatives wishing to pay for hotel rooms via Credit Card may do so during registration. **All registration and housing is done through Texas Thespians. Please do not contact the Gaylord Texan directly!